Try not to pronounce English word-by-word, although we will probably understand you if you do. But you may not understand what English-speakers are saying if you expect to hear us pronounce each word distinctly. The audio link in this post asks each of the following questions four times. Notice that there are variations among the four. Where did you get it? Where did he go? What did you do? What do you mean? What did you mean? What do you think? What do you want? Here I am teaching a class a Native-American prayer I like to share with students at Thanksgiving. I always remind students that the “New World” was only new to Europeans. Hundreds of cultures and languages and religions pre-dated Columbus. The word “tell” requires an object. “Say” does not require an object. Examples: What did you say? What did you say to him? I always say what I think.Tell me what you want. I told them what time the movie started. Remember: “Parts of Speech” in English tell us how a word is used. The same word may be several parts of speech, depending on how it’s used. Here’s a super-fun game that let’s you practice identifying nouns, verbs, adjectives and adverbs. * The District of Columbia, Washington, D.C., is not a state, but the area where congress, the Supreme Court, the White House and the headquarters of many federal agencies are located. There is also a beautiful state named Washington, which is all the way across the country from Washington, D.C. 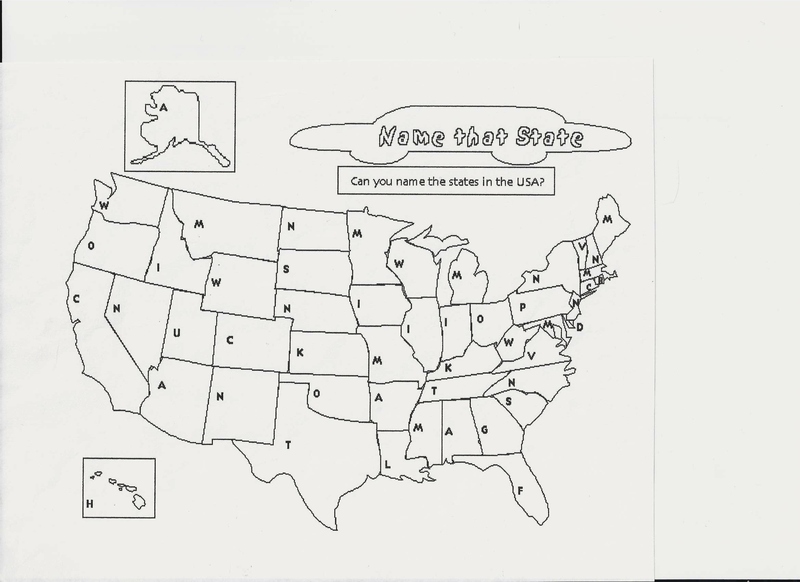 Listen to the names of all 50 states, plus “the District of Columbia” pronounced as Americans pronounce them. Here’s something clever to use as an aid in teaching both ordinal numbers and the use of quotation marks. After we read the poem about “Five Little Pumpkins” and analyze the use of quotation marks, a follow-up pair dictation will help pinpoint any problems students have using quotation marks. I like pair dictations where one student can see the video and the other can’t. The one who can see dictates the poem to his or her partner, line by line. The partner who can’t see the words writes down what he or she hears on an individual whiteboard.. This matching game is fun for everyone but only valuable as an ESL exercise if you identify the items in English as they are revealed.The exercise includes: haunted house, skull, bat,black cat, jack o’ lantern, witch’s hat, goblin behind a tombstone, ghost, spider web. Follow the directions for an amazing interactive card trick. Many American children learn this song in school.